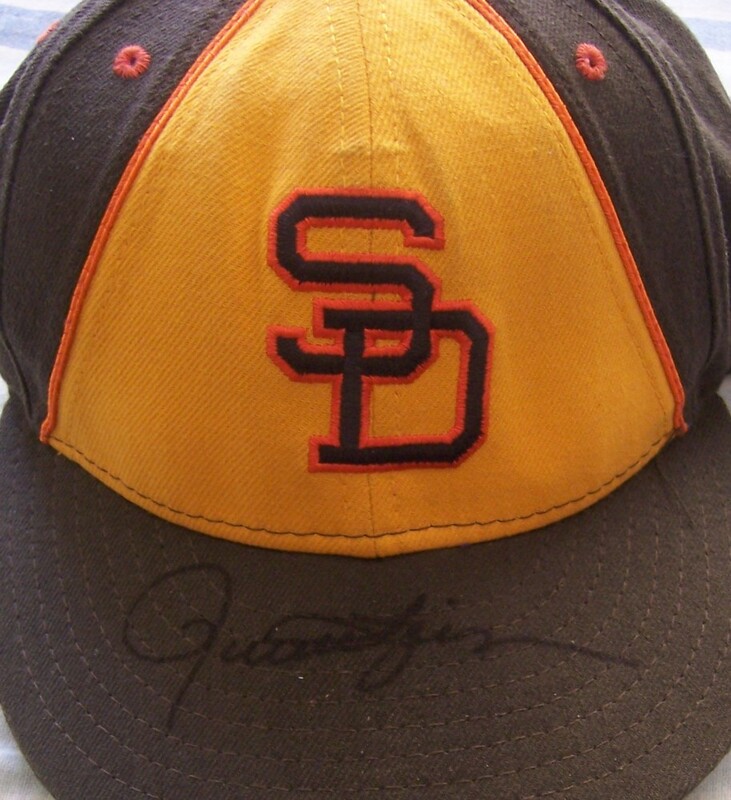 San Diego Padres authentic game model throwback cap autographed in black marker on the bill by Hall of Fame relief pitcher Rollie Fingers. Obtained in person at celebrity golf tournament. With certificate of authenticity from AutographsForSale.com. ONLY ONE AVAILABLE FOR SALE.